Today, CHRISTOPHER and ASH will have the Power of Knowledge. 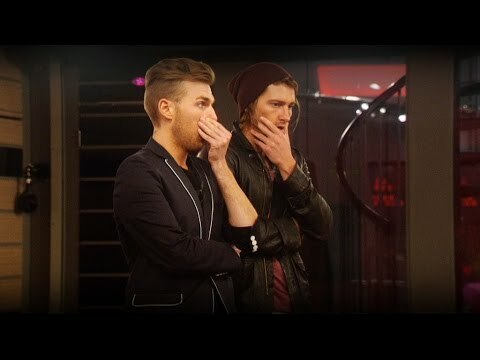 CHRISTOPHER and ASH will be called to theDiary Room and then taken to the control room. In the Control Room they will be told that the Power has returned to the Big Brother House and they will have a big decision to make later today. As part of their Power, they get to take over the Diary Room and give Big Brother two killer questions that they want Big Brother to put to each of their fellow Housemates. CHRISTOPHER and ASH become psychiatrists and get to interview each of the Housemates one by one in the Small Task Room which has become a shrink’s office. The Housemates have to lay on a sofa while the pair give them questions like “What has been the hardest thing in Big Brother?” “What would you do differently?” “Who did you get on with who you didn’t think you would?” etc. They will also do word association with each of their Housemates pictures and be shown Rorschach drawings which they have to interpret and head shots of the Housemates. CHRISTOPHER and ASH will have the Power of Knowledge. It cant be. The public have already been spending money on votes to win. I dont think they dare. Am pleased that they took one person from each camp, Ash hasnt had any resposibility before. Glad it wasnt Pav or Helen and Chris and Ashleigh have had many chances. Best two but it will be interesting to see what happens. BREAKING.. Expect a fake Eviction! ‘Evicted’ Big Brother 2014 housemate Helen Wood has moved into a secret house. Earlier today, Helen Wood was booted out of the house in a supposed surprise eviction. The other housemates had been expecting a ‘shock’ midweek eviction and so seemed to fall for it, even if it was finalist Helen who left. However she’s not gone far. After being told to leave the house via the Diary Room by Marcus Bentley, Helen was then directed to her new home in a hidden room in the house. From her spy shack, Helen can view all the goings on in the main house with live video and audio feeds. She’s set to spend her final week in luxury with top notch food and booze provided to her by Big Brother. Helen won’t be alone in the secret room, with new Power housemates Ash Harrison and Christopher Hall having to decide which of the other remaining housemates to ‘evict’ and join her in the secret room. 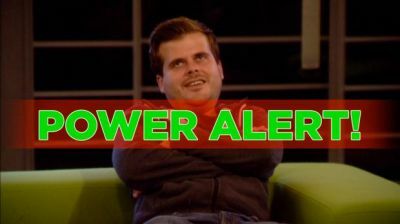 Big Brother’s (fake) power trip got tough tonight as a second housemate was ‘evicted’. 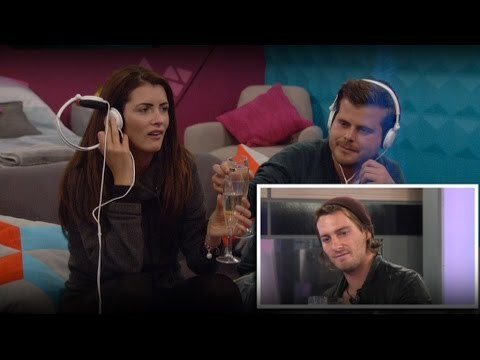 Earlier today, Helen Wood was booted out of the house in a supposed surprise eviction after a public vote. In reality, she’s just moved next door to a secret house. Cause, you know, that twist hasn’t been done enough times in Big Brother. Back in the main house, new Power housemates Christopher Hall and Ash Harrison. then got a shock. Big Brother told them: “As the Power Pair you were told you would have a big decision to make. It doesn’t come any bigger than this. While Pav Paul may have been an easy option, the pair struggled to name him after he opened up in a task earlier this evening. After a whispered discussion, the pair eventually decided to evict Chris. Chris then left via the Diary Room where, unbeknown the other housemates, he will join Helen in the secret house. Christopher Hall has revealed the reasoning behind his and Ash Harrison’s decision to evict Chris R Wright. In tonight’s show, Christopher and Ash are given the power. Christopher talks to Chris about having The Power and the decision he and Ash have to make. He says that he hopes it can be positive. Christopher tells Chris that he isn’t sure he could evict someone face to face and Chris agrees it would be hard and says the house feels like a family environment, a dysfunctional family but a family all the same. Ash and Christopher go to the Control Room where Ash says that the therapy sessions were: ‘Highly revealing.’ Ash says that the most honest and open patient was Pav ‘by a country mile.’ Christopher goes on to say that he found Chris ‘quite evasive. Come the evening, the Housemates are gathered for the last time and Ash and Christopher are told to stand and decide who to evict then and there from the remaining Housemates. After their session with Pav they are reluctant to evict him and so decide on Chris. Chris says that he has no hard feelings towards Ash or Christopher. Chris is told to leave by the Diary Room and he is told it’s not a real eviction and he goes to join Helen in Big Brother’s Spare Room. Back in the main house, Ash and Christopher explain why they didn’t evict Pav, because of his openness on the couch. Pav is touched and starts to cry.